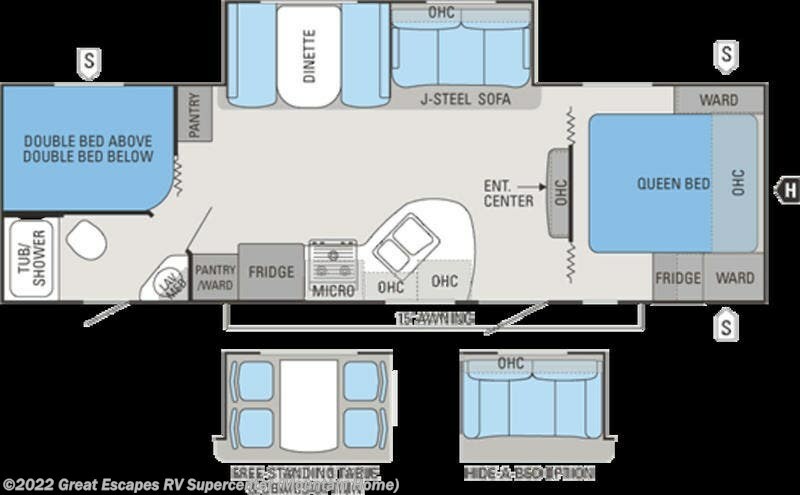 This travel trailer boasts some special features that differentiates it from the rest: Indoors Our Kitchen, 36” deep slideouts, select model bunk rooms, an Indoors-Out kitchen option and a 60-70” Maxview dinette window that gives you a pretty wide views from whatever landscape you are experiencing. It is also twice the living space from standard lightweights. White Hawk boasts some of the most innovative floorplans to hit the lightweight travel trailer market. Check out Stock # 10734 - 2013 Jayco White Hawk 28DSBH on jaycorvsource.com!